I had an unexcused absence from blogging yesterday. My sleep habits have been a bit “Krameresque” the last couple of days. I refer to the episode of Seinfeld in which Kramer decides to try a polyphasic sleep schedule where he sleeps 20-30 minutes 6 times a day. This, of course, backfires on Kramer. He falls asleep while being intimate with a mob boss’s wife. She assumes Kramer is dead, gets a couple of her husbands soldiers to dispose of the body, and the next thing we see is Kramer waking up in the East River. My sleep schedule wasn’t as extreme, or as on purpose as Kramer’s, but the lack of sleep the last few days finally caught up with me yesterday and today. I did try to rouse myself and write yesterday, but after a few sleepy attempts I found myself searching for the DELETE THIS ENTIRE BLOG button, because I just didn’t want to write a blog anymore. Fortunately, I fell asleep at the computer before I found that button. In case you hadn’t noticed, it is election time again. I am a political junkie, but I try diligently to stay non political on my social sites. But I saw a post that I feel very passionate about, and I want to share my views about the topic. I guess my main problem with that opinion is I don’t understand what people mean when they say that. I don’t understand why one would have that opinion. I suppose if a person’s candidate lost, or proposition lost, then I guess that person might feel like his or her vote didn’t count. From my point of view I have back a lot of losers but I have always felt that my vote counted. I have heard some explain their vote note counting because politicians say what they think we want to hear to get elected, and do what they want after they are elected. I agree that that happens quite a bit, in fact more than it should. But our system does have built in accountability. If the majority of we, the people, are unsatisfied with the performance of our elected officials, we, the people, can fire the offenders in 2, 4 or 6 years, . For example, then candidate Clinton’s first campaign ad in 1992 promised a middle class tax cut. In 1993, President Clinton, instead of giving a middle class tax cut, raised taxes on the middle class. In 1994 the Republicans gained control of both the House and Senate for the first time in 40 years. Accountability. And to be totally bi-partisan, I think everyone remembers then candidate George HW Bush’s famous “no new taxes” pledge in the 1988 campaign. During his presidency, President Bush raised taxes. Because of this broken promise there was a serious challenge to President Bush in the Republican primary. Bill Clinton even used this broken promise by Bush to show evidence of Bush being untrustworthy. Bush lost, Clinton won. Accountability. There may be other reasons for people saying that our votes don’t count. I am sure they believe they have valid reasons for believing that way. I just believe that the right to vote is a sacred right that people have fought and died for, are fighting and dying for now, and are willing to risk their lives for now and in the future. To me, my vote has to count, it has to matter, whether my candidate wins or not If it doesn’t matter, blood has been spilled in vain. I remember when I turned 21 I couldn’t wait to cast my ballot. I was gong to college in California, so I made sure I got registered to vote in California. Voted, and took my “I voted” button to Shakey’s and received a small pizza for free. Participate in democracy and get free food. What a country! When I taught, I always went to the polls at 6 am, so I could wear my “I Voted” sticker to class. I could empathize with the Iraqi people who were voting for the first time and proudly holding up their ink stained fingers that indicated they had voted. We are all products of our upbringing, so I am sure much of my enthusiasm for voting comes from my father. He is also a political junkie, so I am sure that rubbed off on me. My dad, in kind of a poor man’s Michael Corlioni way, was being groomed by my grandfather to be a politician. Grandfather was very involved in the politics of Ohio and he had plans for my dad. However, my dad did not share in those same political ambitions. Except once. He ran for mayor. The city at the time did have a few gangland connections so that it had the nicknamed “Little Chicago.” Sometime during the course of the election, my father was made an “offer he couldn’t refuse” that he, of course, refused. Our landlady convinced my mom that if my dad got elected that he stood a good chance of “sleeping with the fishes” in the Ohio river. So mom and all the family friends got a concerted effort together to make sure that my dad did not win the election. I would say this is one time that everyone’s vote counted. I am pretty sure even my dad voted for the other guy. Finally, f you believe your vote doesn’t count, trust me, I have not written this as an attempt to change your mind. I have heard many of the reasons, but I don’t understand them, so I am not going to presume I can offer you any solid reasons for changing your mind. 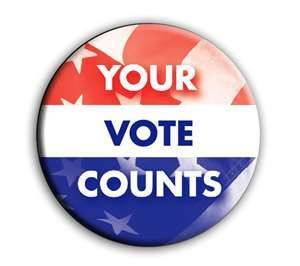 I just wanted to share my reasons for voting and my belief that my vote does count. 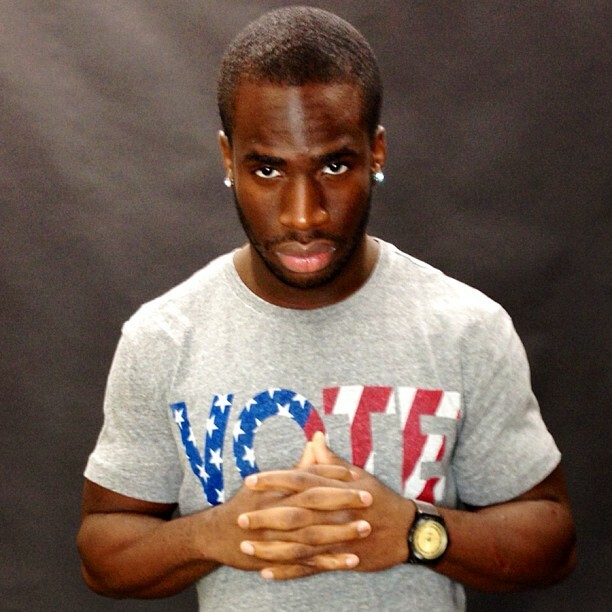 New York Giant’s and former Nebraska and Apollo High School standout, Prince Amukamara, encouraging you to vote.